In an aggressive attempt to make the streets of Los Angeles safer, specifically the South Park area, the Los Angeles Police Department conducted an operation that led to the arrest of as many as six dozen gang members associated with the infamous 52 Broadway Gangster Crips. The joint operation included local law enforcement officers as well as federal agents aimed at prosecuting the gang members for everything from drug sales to racketeering to a variety of robberies. “The three-year multi agency investigation culminated with a series of predawn raids. 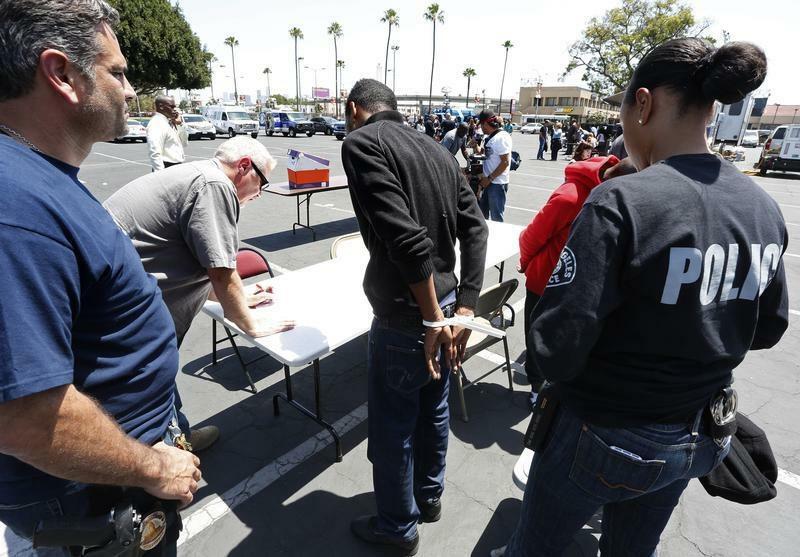 More than 1,300 FBI agents and LAPD officers rounded up suspects,” stated Fox 11 news. We are hoping this raid will put a dent in the violence and drug sales/use near Skid Row in Downtown Los Angeles.